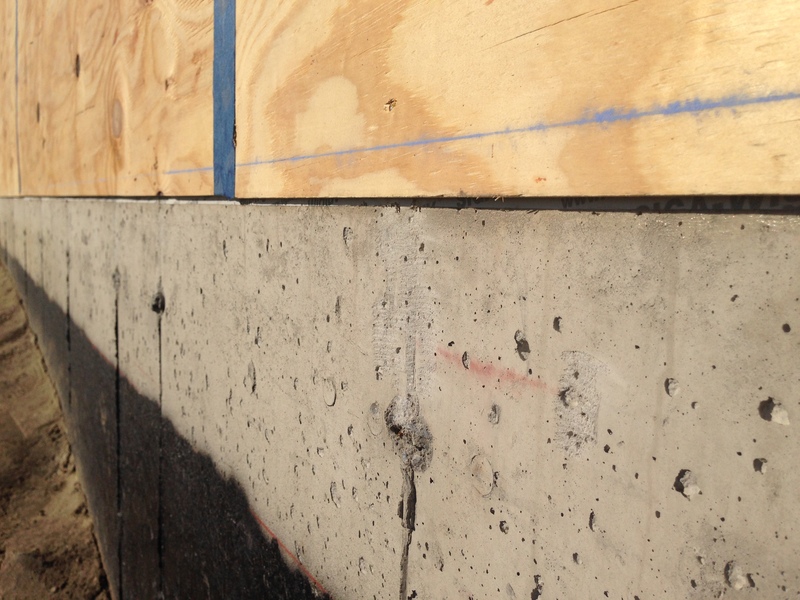 To finalize the lower part of our exterior air barrier (where the plywood sheathing meets the concrete wall), we ran the plywood below the seam of where we originally taped the Stego and Mento to the wall. 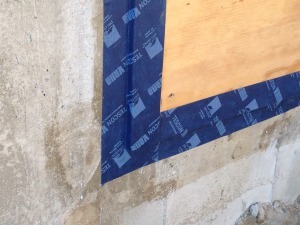 Using a primer again, we primed the concrete wall and then taped the plywood to the primed wall with 4″ Tescon tape. This left us with a really solid air barrier that we can eventually hide with cladding. 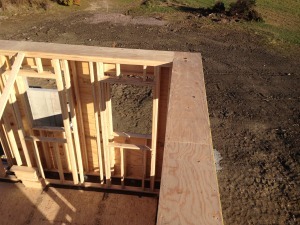 Capping the top the double stud wall with plywood allowed for a nice top to the cavity for fill insulation. In order for our floor plan to work, we needed to carry the load of the second floor wall which runs over our bump out for the living room. 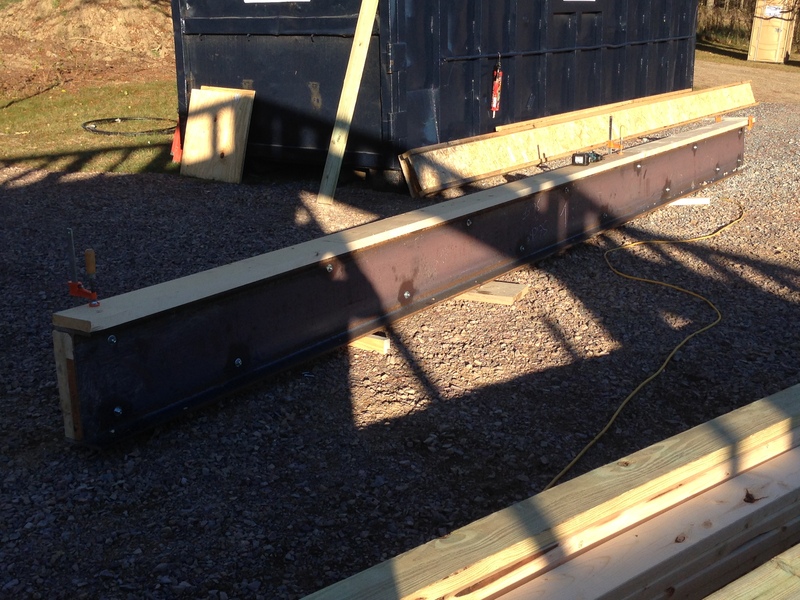 The beam was sized, and we ran it between two load points. 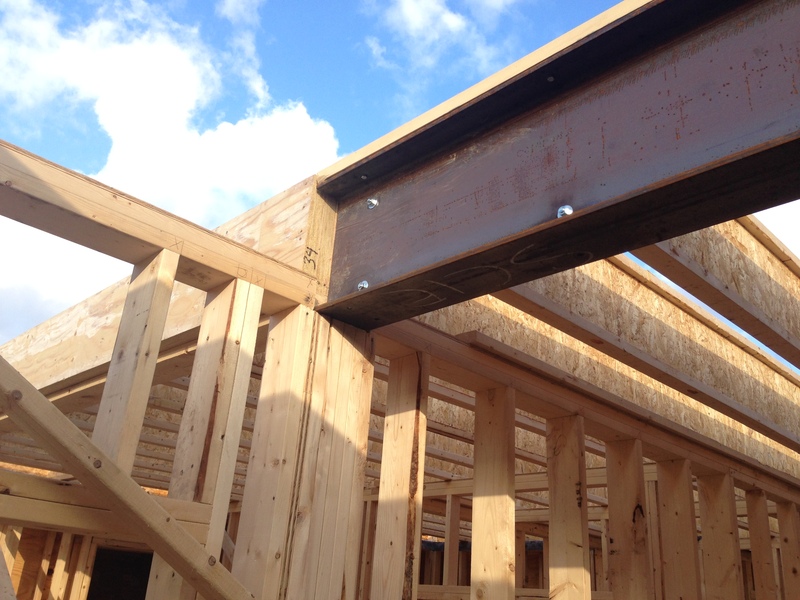 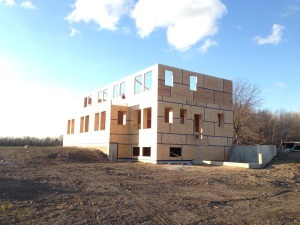 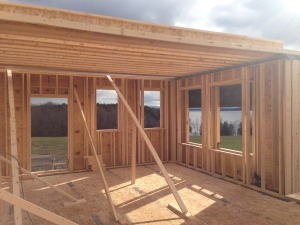 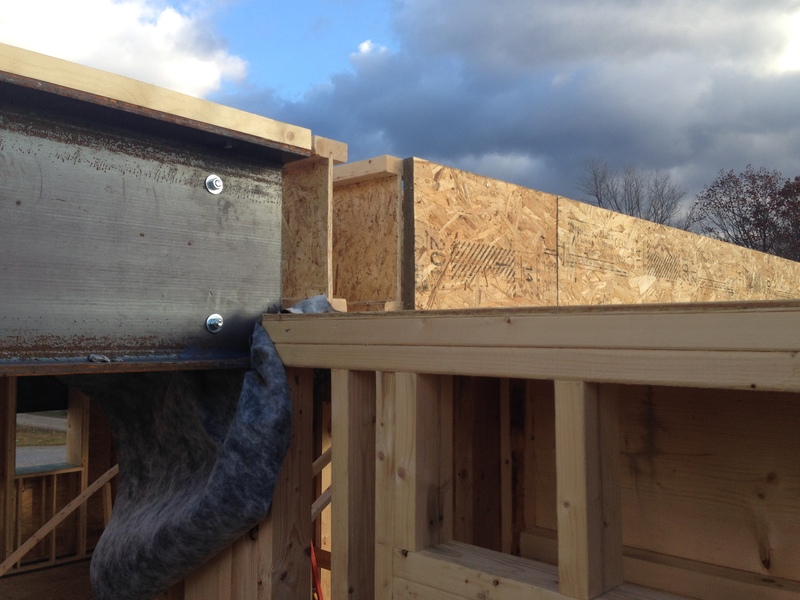 Both load points were inside the the thermal envelope, so we avoided any massive thermal bridges to exterior walls.